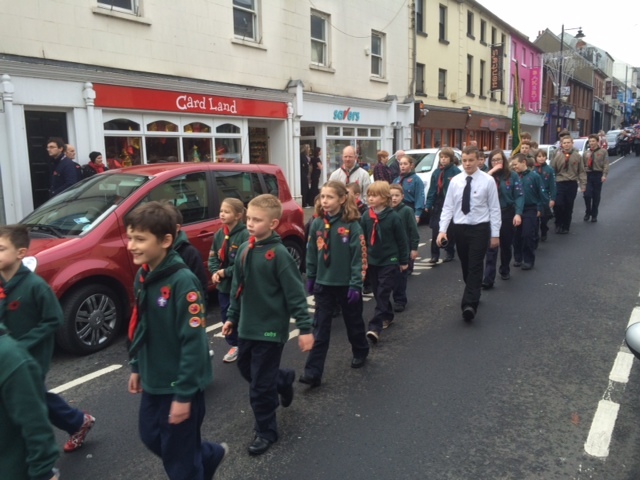 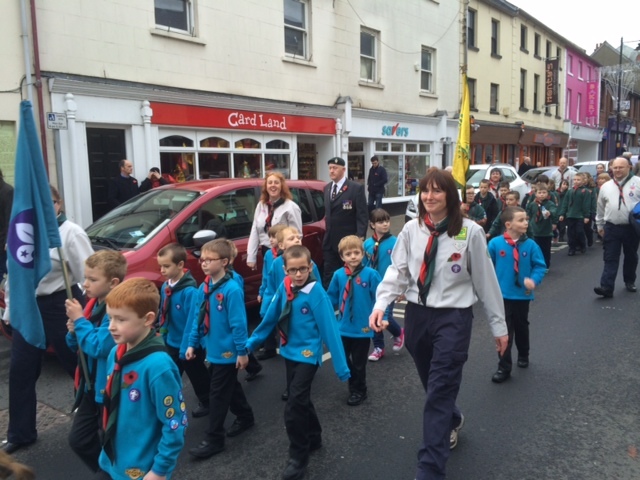 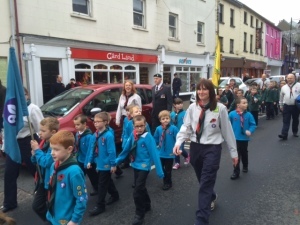 All sections of the group joined the local Remembrance Day Parade on Sunday, and attended the subsequent service at First Ballymoney Presbyterian Church. 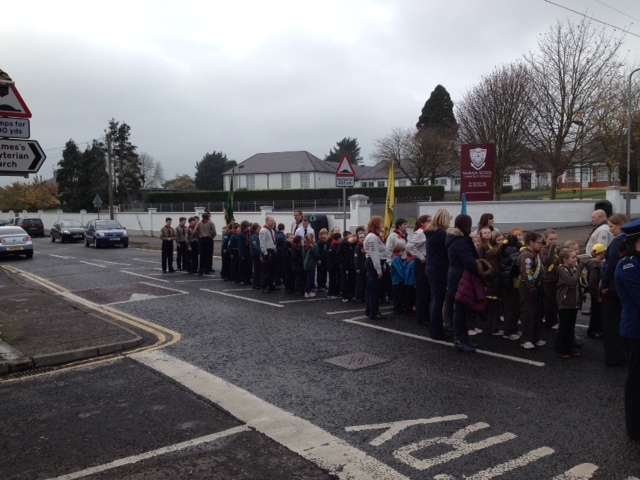 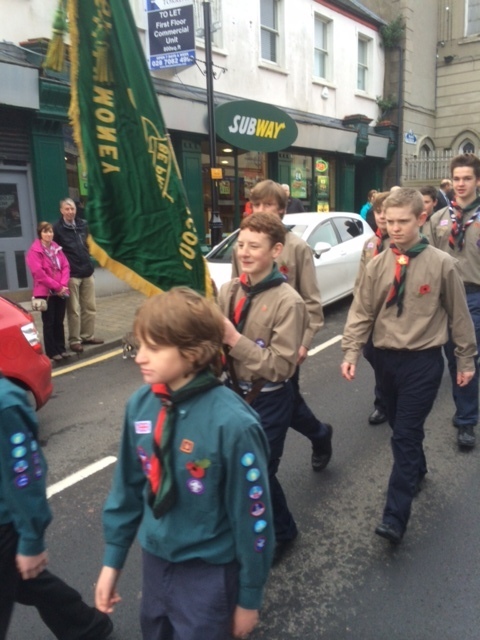 This parade has grown in recent years and it was good to see all the other youth organisations out on the day. 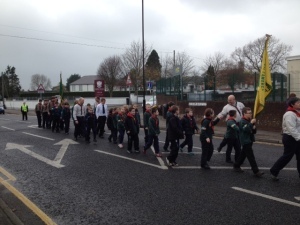 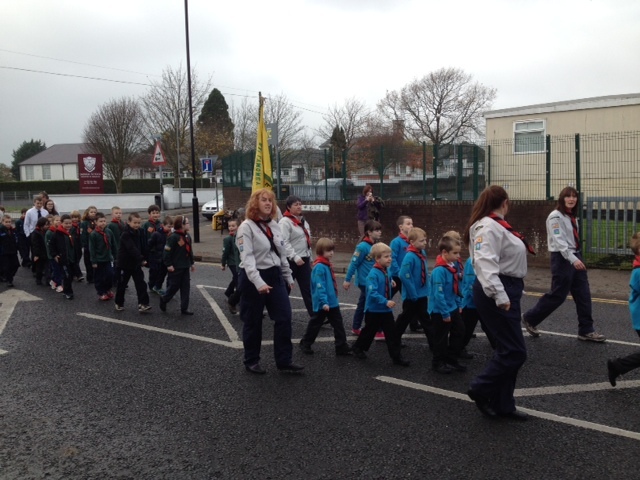 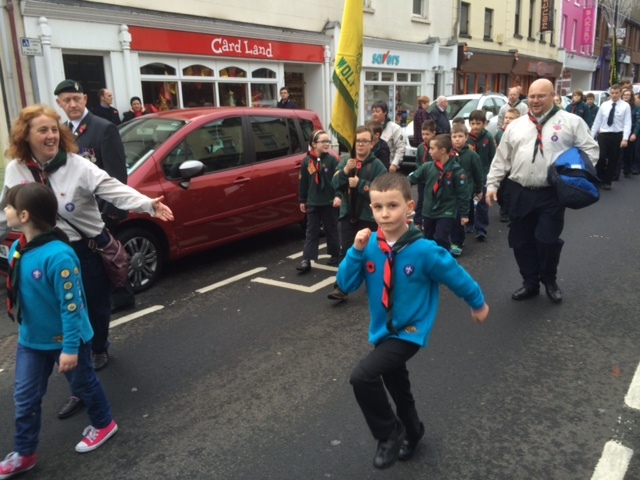 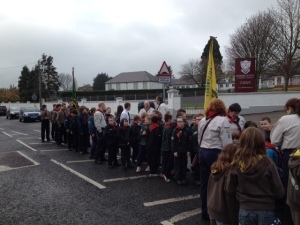 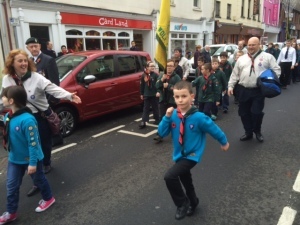 Scouting was represented by both Ballymoney Scout group and 4th Antrim Scouts. 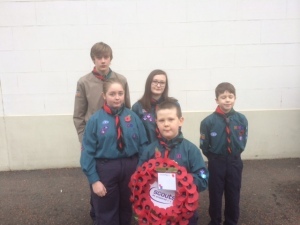 Earlier that day the Scouts and Explorers took the honour of laying the wreath at the cenotaph.